To have a Code Expo your first need to have coding clubs. Having coding clubs at your school is great in so many ways. 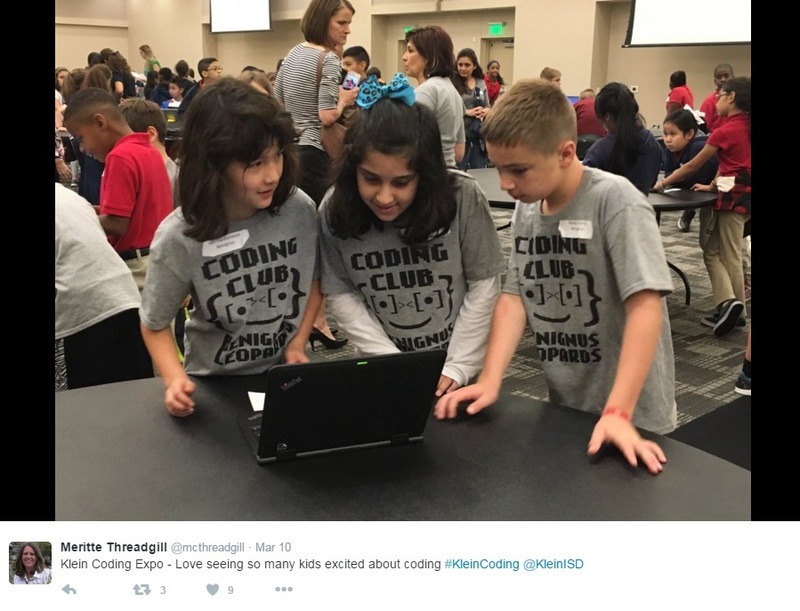 There are numerous other reasons to have a coding club at your school. Since most school time is usually maxed out with existing curriculum, they best way to start to integrate something new is through extracurricular activity. OK, you have a coding club. Things are going great, now you want to kick things up a notch or celebrate your progress. A Code Expo is a a great option. 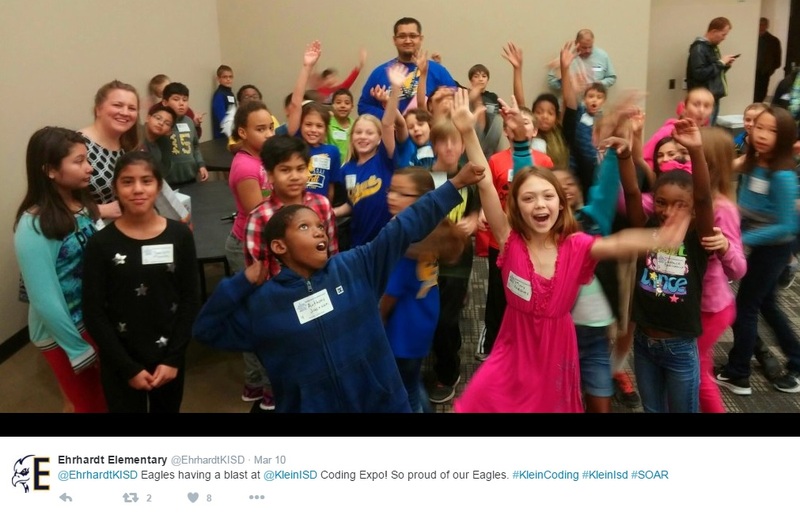 Recently I worked with Klein Independent School District to put together a coding club program for elementary students (3rd – 5th). It was rolled out district wide and up to each school if they wanted to participate. The clubs were a big success. At most schools there were more kids who wanted to participate than there were slots. The second half of the year the clubs learned Scratch. One of our goals was for each student to come up with an idea for a program then code it in Scratch. 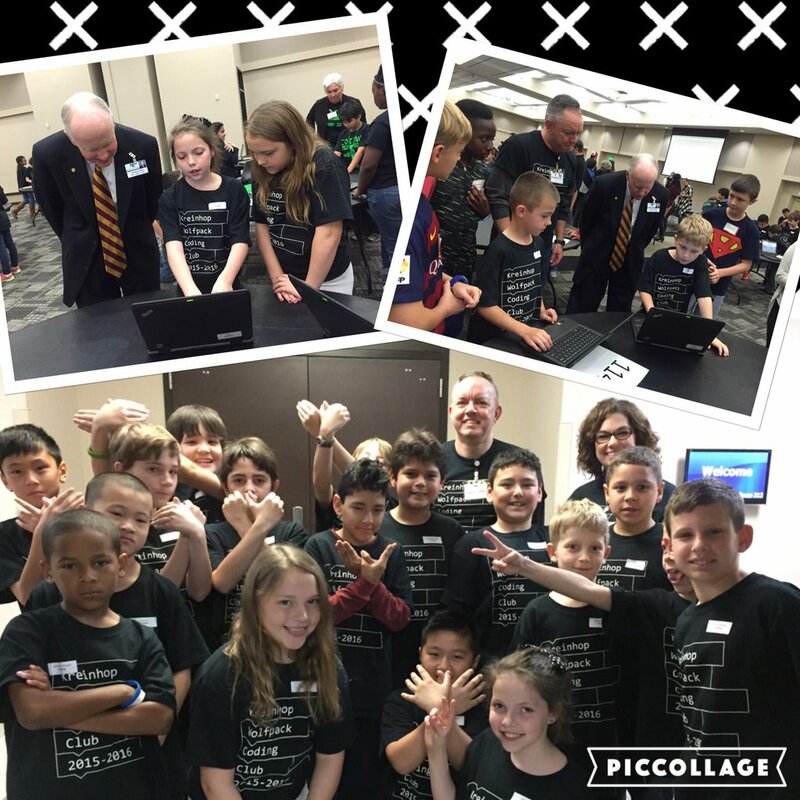 At the end of the year all the clubs were to gather in one place and “showcase” their creations at the first annual KISD Code Expo. In addition, each team was able to enter (3) 3 person teams to compete in a code challenge. We had 3rd, 4th and 5th grade categories. The event was a huge success. We had over 300 students, close to 100 parents and many of the districts top administrators at the event. The kids were truly excited to be participating and to see so many of their peers also excited about coding club. Parents were justifiably proud and frankly a bit astonished at what their kids had accomplished. Teachers were as proud as the parents of their students and I think they were proud of themselves as well. They should be. I don’t have to tell you that the administrators liked what they saw. These folks are always looking for ways to better serve their community’s education needs. There is a lot a pressure on schools to incorporate technology education into their curriculum because it is so important. Sprawling in front of them were parents, teachers and students who were enthusiastically helping them achieve these goals. These are just some of the reasons you should consider putting on a code expo. If your clubs are not district wide perhaps you could gather a few like minded schools in your area. Teaching our kids to code is a good use of our time and resources. Coding clubs make learning to code fun. Having an expo just makes it all a little better.